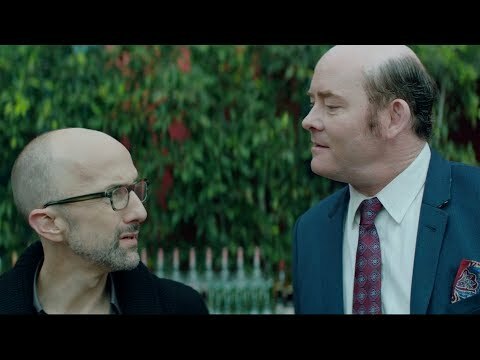 The story of roguish Huey (David Koechner) and nebbishy Bernard (Jim Rash), who are unlikely friends in late 1980s New York. Years later, a bedraggled Huey crashes at Bernard’s upscale bachelor pad. As the two reconnect, Bernard starts a relationship with Huey’s estranged daughter Zelda (Mae Whitman), an aspiring graphic novelist. Huey slowly gets his mojo back and tries to seduce various women in Bernard’s life, while reconnecting with his family. As the two friends return to their old ways, at least one of them finds himself in danger of marrying a woman old enough to be his wife. BERNARD AND HUEY is a timely story of two men behaving badly, and the smart women who rein them in. Directed by Slamdance Film Festival co-founder Dan Mirvish and written by Oscar®/Pulitzer-winner Jules Feiffer. Bernard and Huey was released on Cinema and VOD 319d ago in the US. Notify me when Bernard and Huey is available.